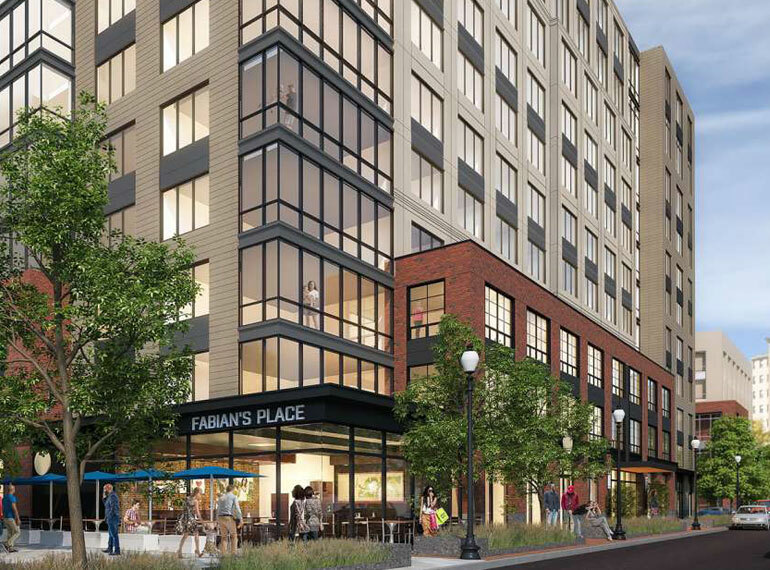 The Smith, which is named for the artisan history in the area South of Washington Street, is a 650,000 SF mixed use development that will bring residential housing, including an onsite affordable component and artist live/work units, to Boston’s South End. In addition, there will be retail and cultural space on the ground floors of the building and surface parking will be replaced with an underground 650-car parking garage. 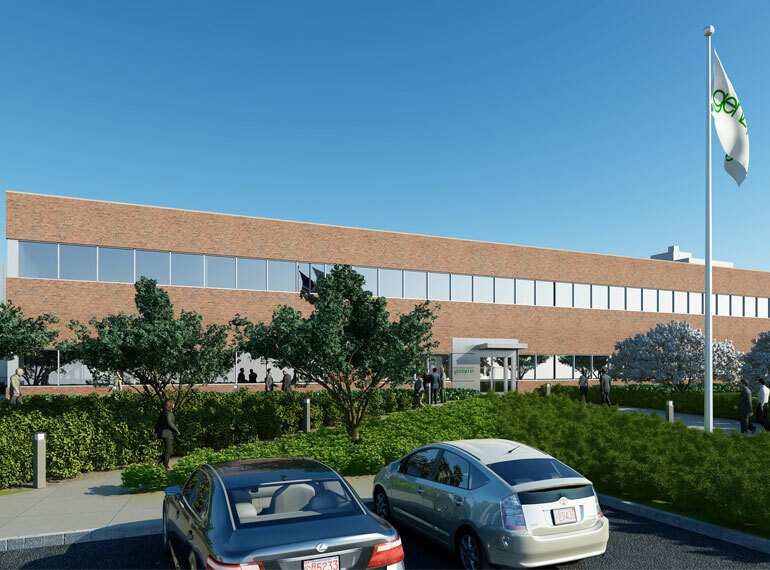 The Smith is being developed by Leggat McCall Properties, along with joint venture partner Bentall Kennedy, and development advisor Bozzuto Development Company. The Smith will be a part of the Harrison Avenue corridor, which is emerging as one of the city’s most sought after residential neighborhoods, and this project is designed to respond to the scale and history of the South End, while identifying itself as a transformative, contemporary development. 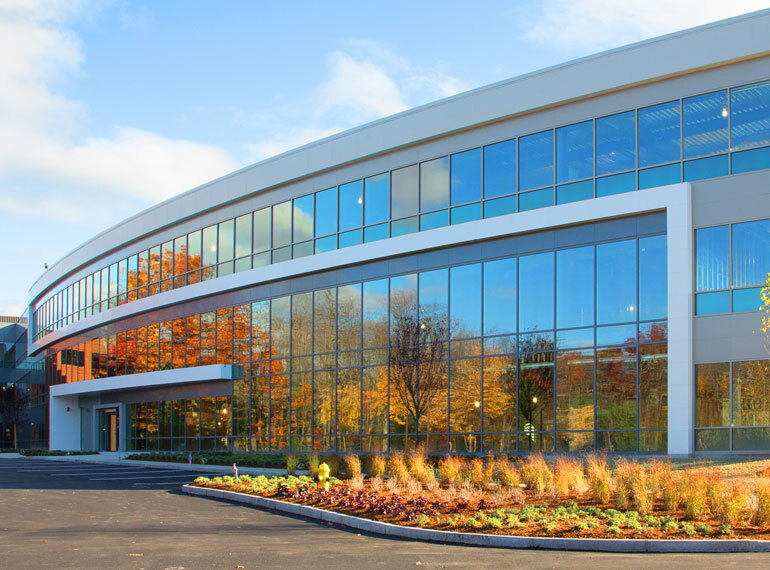 The property was purchased from Boston Medical Center in 2014. The original site was underutilized, consisting of small undesirable buildings and surface parking lots. 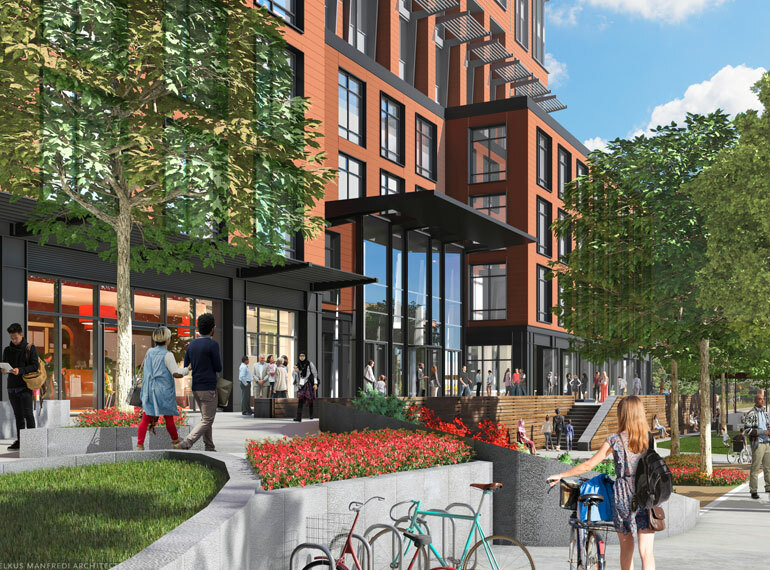 Through careful design of street edges, pedestrian friendly open spaces, retail storefronts, and tree-lined streets, The Smith will create nodes of activity and a sense of place for this area of the South End. The Smith’s design by Boston-based architectural firm CBT intends to complement the existing buildings in the neighborhood. The Smith creates much-needed new affordable and market rate housing, along with substantial public open space, and street level retail that improves the pedestrian experience. Ground was broken in September 2018 for the first phase of construction. When completed in Spring of 2020, the complex will include 650 multi-family residential units in two 11-story buildings with state-of-the-art amenity spaces and a roof-top pool, 50 multi-family units in a historic building with a one level addition, 20,000 SF of ground-floor retail space, a two-level 650-car below grade parking garage, and a landscaped plaza between the residential buildings connecting adjacent streets. The complex is targeting LEED Silver.